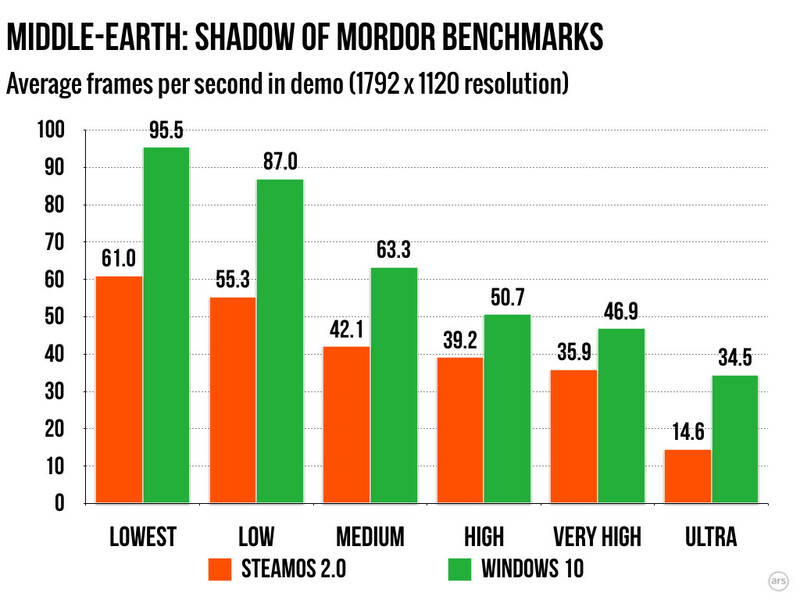 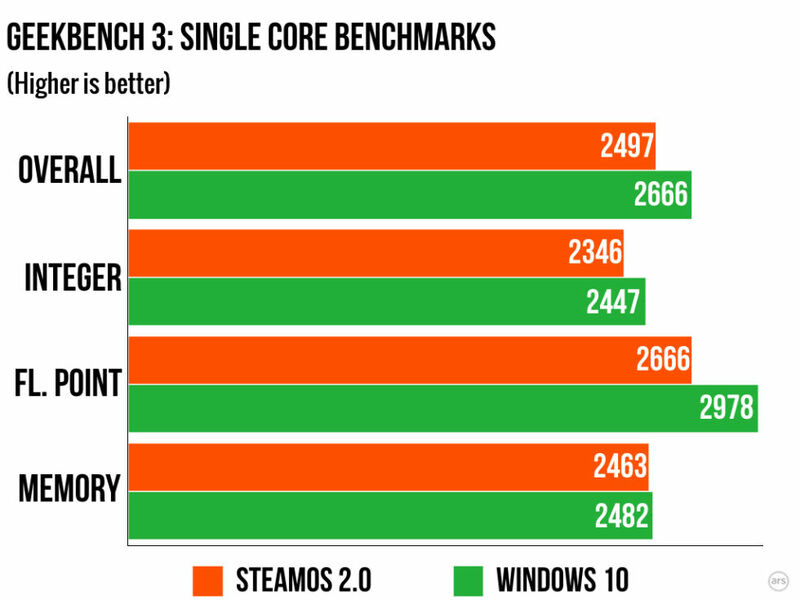 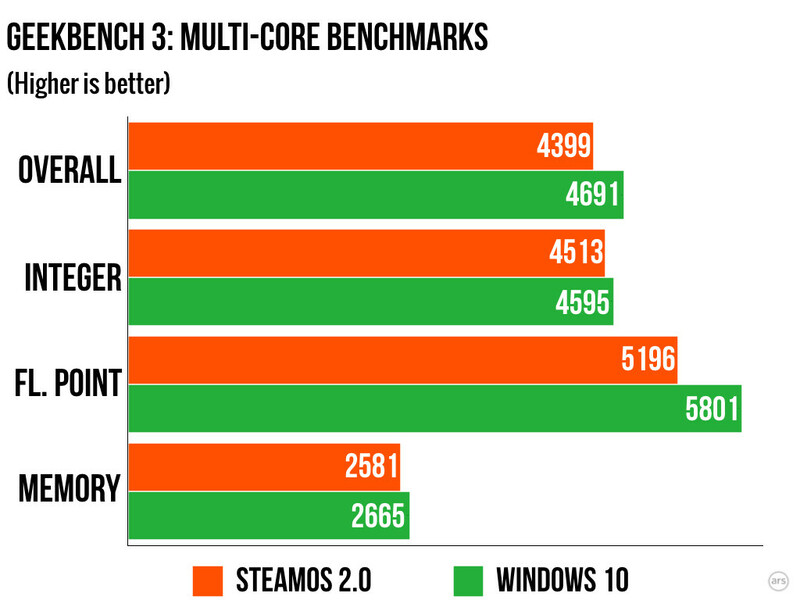 The new Steam OS which is based on Linux Kernel seems to have some bad time when coming to gaming performance compared to the Microsoft's Windows 10 with the latest performance update. 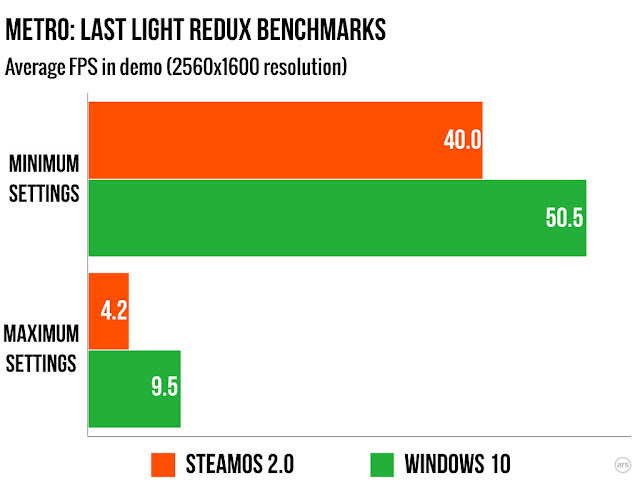 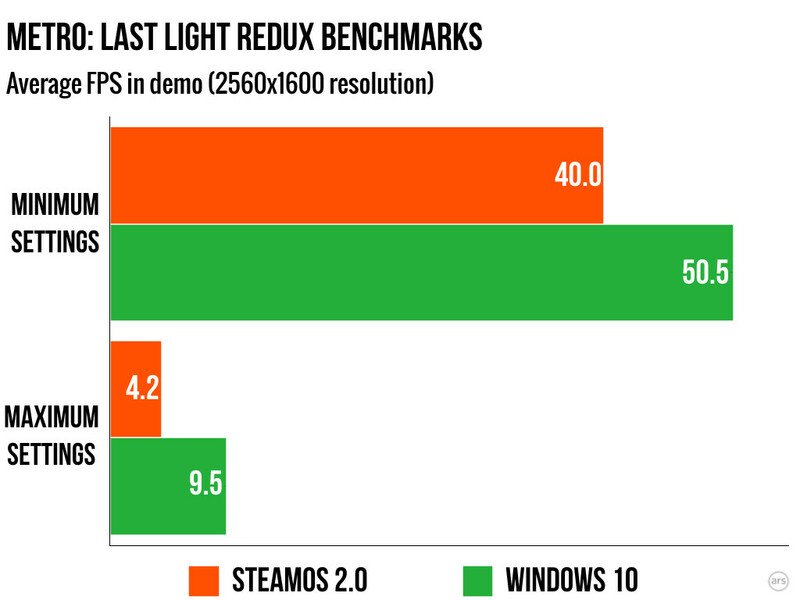 Steam OS have it's own Benchmark tool GeekBench software, but when benchmarking the two operating system on the same machine, Steam OS show some weak fps results, the Mini ITX test bed packs a Pentium G3220 and a Zotac GeForce GTX660, bellow a benchmark result @QHD resolution 2560x1600 setting at max, and it seems Steam OS and it's Linux Kernel and/or the Nvidia driver don't like these high resolution. 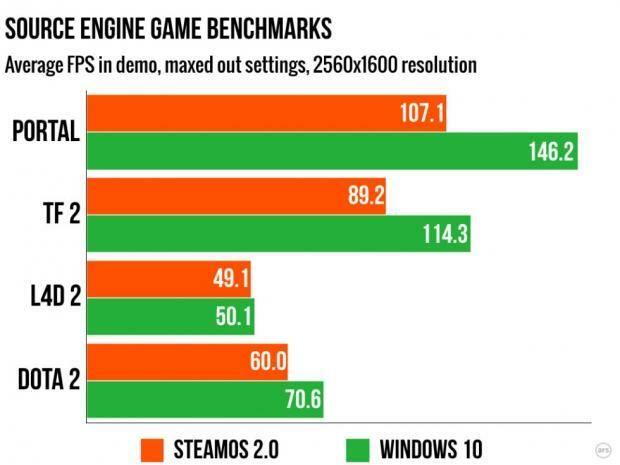 As you can notice, Windows 10 win at all phases, with a nice gap, which impose a big question at Steam, will it continue using Linux core or try to swich somehow to find a cooperation with Microsoft.